We live in strange and wonderful times. 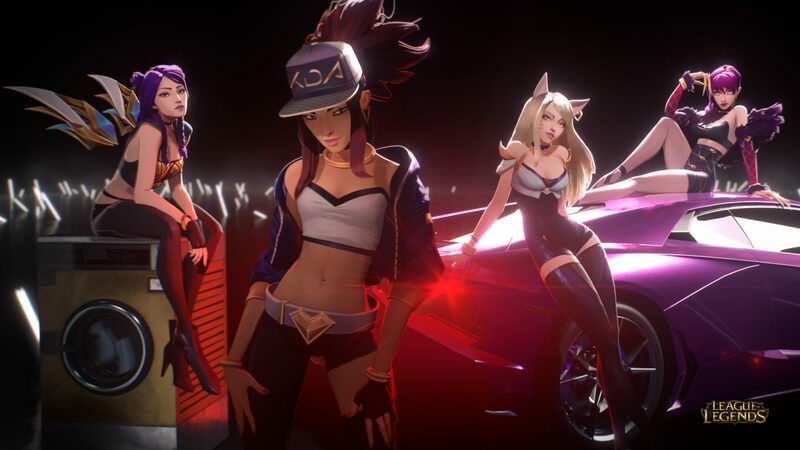 Videogame company Riot Games reimagines four of its characters as a K-pop band, hires a DJ and singers to produce a track in the band’s name to go with a release of new skins for characters in their League Of Legends decade-old online game, hires dancers to do a routine, hires CGI artists to turn it into a video starring the character skins. The single becomes a global No.1 hit and fans start writing slashfic about the characters. The flagging fortunes of the game are revived. The dancers get a payday and free advertising. Apart from the music itself having a hypnotic, elastic groove and a strong melody, it/the performers manages/manage to use melisma to good effect: adding funky filigrees sparingly, rather than as in the all-too-popular practice of stunt singing by wandering up and down scales at random points in vocal lines. The layers of “cultural appropriation” are dizzying. As they should be. Thanks to Tim Almond for introducing me to this excellent, excellent track. UPDATE: You can read a more detailed guide to the characters at Polygon and watch some in-game action below.